Here’s another nice review, written for me by Andrew Moore. To the general public, Andrew may be known for recent features such as Evidently Cochrane’s “Paracetamol: widely used and largely ineffective” and (with Nicholas Moore) the European Journal of Hospital Pharmacy ‘s “Paracetamol and pain: the kiloton problem”. But these are just the tip of a research iceberg representing more than 40 years, 500 scientific and clinical publications, 200 systematic reviews, 100 Cochrane reviews, and a number of books on evidence-based medicine and pain. I was introduced to Andrew at the Oxford Pain Research Group in 2008, and have since helped him with many data analyses; and with his colleague Sebastian Straube, wrote about this work for Dr Dobbs in our post “Trials and tribulations: measuring drug efficacy in clinical trials, plotting graphs in Java with gnuplot, and reading Excel with JExcelAPI”. That was in Java, but I’ve done our more recent work in R, because of its conciseness and the huge number of library functions available for reading, reformatting, analysing and writing such data. And I’ve also hosted his Bandolier evidence-based medicine website. The text below is Andrew’s. The spreadsheet is a terrific boon for science and medicine. It allows huge amounts of information to be processed and analysed. And that is fine when you are following a well known process, down a road well-travelled. But the cutting edge of science and medicine is, by definition, off that road. Being at the front involves asking awkward questions — those for which there are no answers or processes. Now large spreadsheets can be the barrier, because transforming them from something designed for one purpose into something useful for a different purpose is hard and fraught with potential error. That’s where Jocelyn can help — helping researchers make better use of the tools they have to answer questions they didn’t think they could answer. The three examples below come from clinical trials in acute and chronic pain, where analysis at the level of the individual patient allowed better insights into trial design and patient benefit. 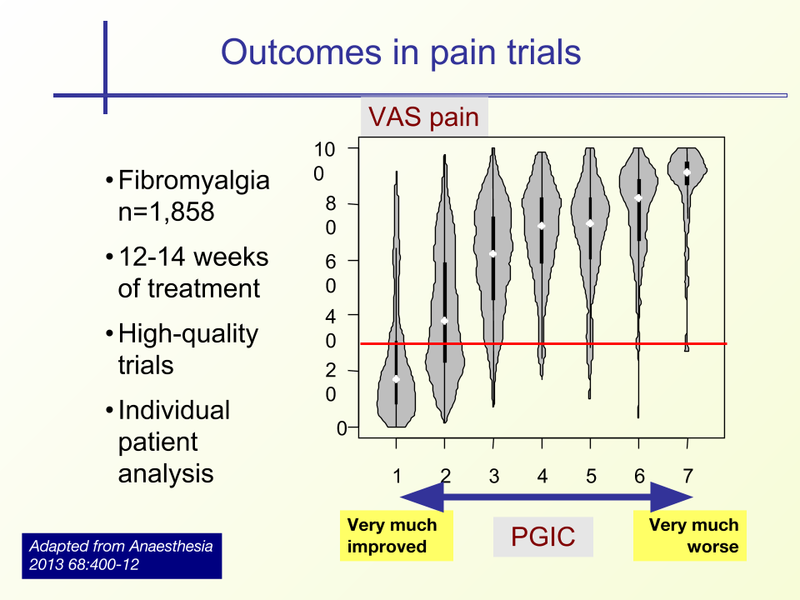 Validating speed of onset as a key component of good analgesic response in acute pain. Moore RA, Derry S, Straube S, Ireson-Paine J, Wiffen PJ. Eur J Pain. 2015 Feb;19(2):187-92. doi: 10.1002/ejp.536. 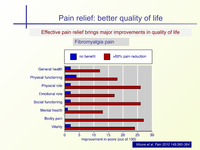 Interference with work in fibromyalgia: effect of treatment with pregabalin and relation to pain response. Straube S, Moore RA, Paine J, Derry S, Phillips CJ, Hallier E, McQuay HJ. BMC Musculoskelet Disord. 2011 Jun 3;12:125. doi: 10.1186/1471-2474-12-125. 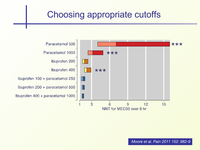 Minimum efficacy criteria for comparisons between treatments using individual patient meta-analysis of acute pain trials: examples of etoricoxib, paracetamol, ibuprofen, and ibuprofen/paracetamol combinations after third molar extraction. Moore RA, Straube S, Paine J, Derry S, McQuay HJ. Pain. 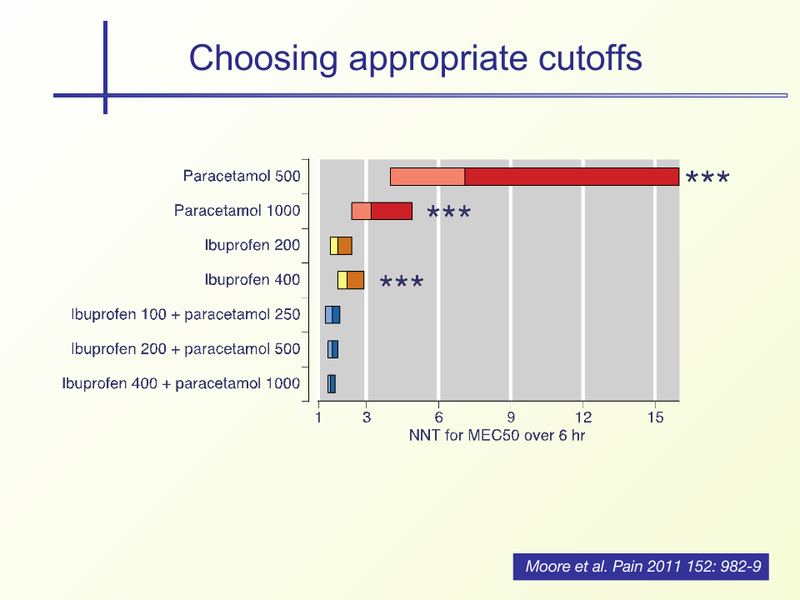 2011 May;152(5):982-9. doi: 10.1016/j.pain.2010.11.030. 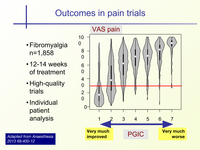 Pregabalin in fibromyalgia–responder analysis from individual patient data. Straube S, Derry S, Moore RA, Paine J, McQuay HJ. BMC Musculoskelet Disord. 2010 Jul 5;11:150. doi: 10.1186/1471-2474-11-150. 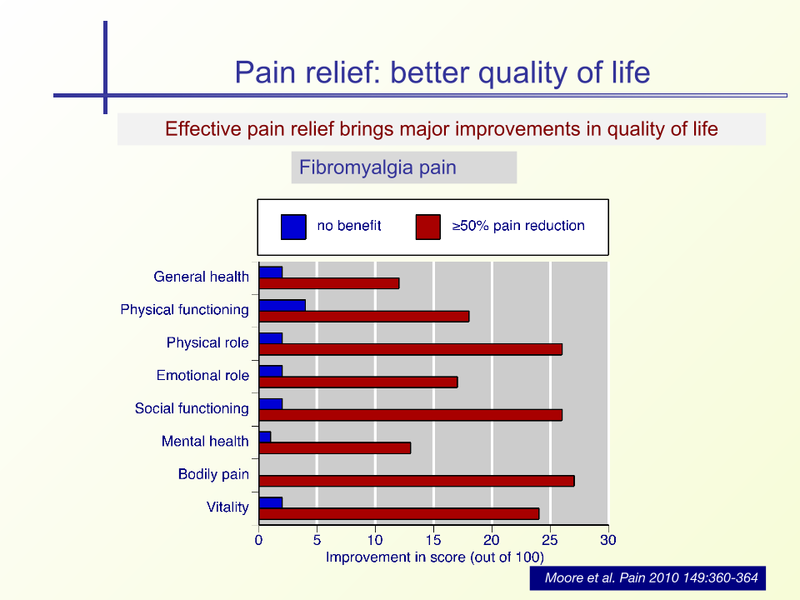 Fibromyalgia: Moderate and substantial pain intensity reduction predicts improvement in other outcomes and substantial quality of life gain. Moore RA, Straube S, Paine J, Phillips CJ, Derry S, McQuay HJ. Pain. 2010 May;149(2):360-4. doi: 10.1016/j.pain.2010.02.039.